Donald Trump won the presidency by being a one-man wrecking ball against our **dysfunctional and corrupt establishment. 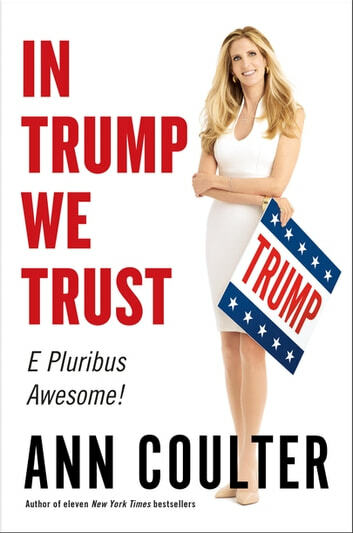 Now Ann Coulter, with her unique** insight, candor, and sense of humor, makes the definitive case for why we should all join his revolution. The media have twisted themselves in knots, trying to grasp how Donald Trump won over millions of Americans and what he'll be like as president. But Ann Coulter isn't puzzled. She knows why Trump was the only one of seventeen GOP contenders who captured the spirit of our time. She gets the power of addressing the pain of the silent majority and saying things the "PC Thought Police" considers unspeakable. ·He's putting America first in our trade deals and alliances, rather than pandering to our allies and enemies. ·He's abandoned the GOP's decades-long commitment to a bellicose foreign policy, at a time when the entire country is sick of unnecessary wars. ·He's ended GOP pandering to Hispanic activists with his hard-line policy on immigration. Working class Americans finally have a champion against open borders and cheap foreign labor. ·He's overturned the media's traditional role in setting the agenda and defining who gets to be considered "presidential." ·He's exposed political consultants as grifters and hacks, most of whom don't know real voters from a hole in the ground. Excellent and engaging book. Covers current events leading up to the 2016 presidential election. Exposes the main stream media and political elites of their lies and deception. Describes many of the real reasons for President Trumps popularity.